YouHot – Are You Hot? YouHot provides great content about Health, Beauty, Fitness & Lifestyle. Are You Hot? If you like to workout, you must ensure to provide to our muscles the due rest. 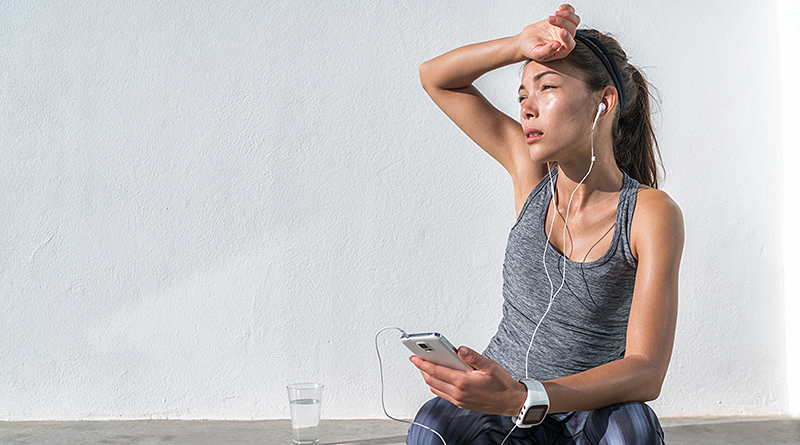 Here are the ideal ways to combat muscle fatigue. Just so they can recover and take advantage of the training-related stimulus to grow. After a workout it is natural to feel some muscle pain, it results from the effort made, but you must be careful that muscle fatigue does not generate an injury. In case of pain after exercising, follow this advice. Warm up exercises before starting the training session are appropriate for your muscles to get ready for what’s next. To reduce the risk of fatigue and muscle injuries during or after training, it is essential to devote time to warm-up. Performing stretching after physical training is essential so that the muscles can quickly get back to the place. Stretch your muscles after the exercise, focusing on every group that has been worked, between 15 to 25 seconds at least. While stretching, inhale deep so that more oxygen enter the bloodstream. Stretching can greatly reduce the pain in the days following the workout. A hot bath helps to relax the muscles and so relieving muscle pains. If you’re feeling more intense pains, don’t train. If you don’t train for some time and resumed physical activity, is natural to feel pain in the days following the training. Rest at least a day before going back to the gym. If you feel very uncomfortable, with the muscle aches, apply them first a little cold and after a few days, hot compresses. As much heat as the cold helps to reduce inflammation and swelling. Analgesic and anti-inflammatory ointments massages not only promote muscle relaxation and pain relief as they give you a sense of freshness and relief throughout the affected area. But make sure that who does massages knows what he’s doing, so that the situation does not get worse. Drop set training: let’s try? Copyright © 2019 YouHot – Are You Hot? All rights reserved. Best contents in Health, Beauty, Fitness and Lifestyle - Join Now!